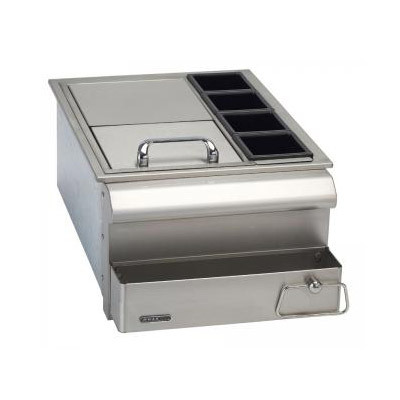 The Bull Outdoor Products drop-in / built-in stainless steel 18” Bar Center with ice chest comes with all the ingredients for the perfect outdoor BBQ. This Bull bar center keeps your outdoor kitchen neat and organized. Constructed of high quality 304 stainless steel, this bar center features separate condiment and bottle storage as well as covered ice storage which will enhance and simplify your entertaining experience.